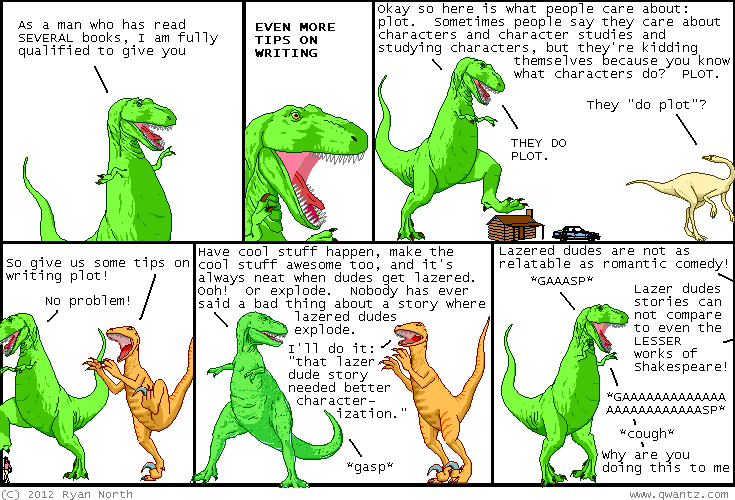 Dinosaur Comics - March 6th, 2012 - awesome fun times! –But putting up fliers for it around town? March 6th, 2012: You know my Back To The Future novelization blog? Well the game I invented in it, Marty Quest, is now a real thing! Thank you internet, please continue being awesome!